There are at least 100 mountains with heights of over 7,200 metres (23,622 ft) above sea level, all of which are located in central and southern Asia. In our list, we take top 15 Highest Peaks in the World. 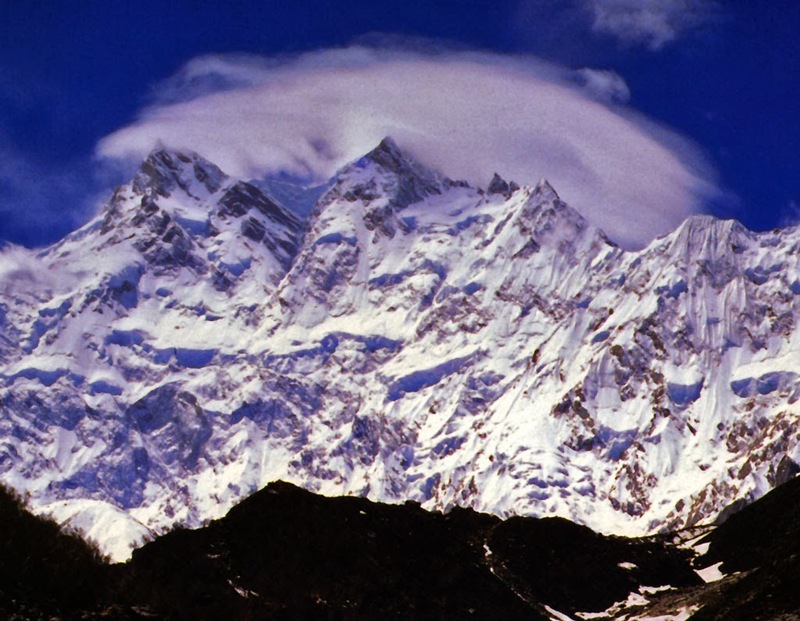 Kangchenjunga is the third highest mountain in the world. In the Nepali language “Kangchenjunga” means “The Five Treasures of Snows.” That is because the mountain has five peaks which are believed to represent the 5 repositories of God — gold, silver, gems, grain, and holy books. 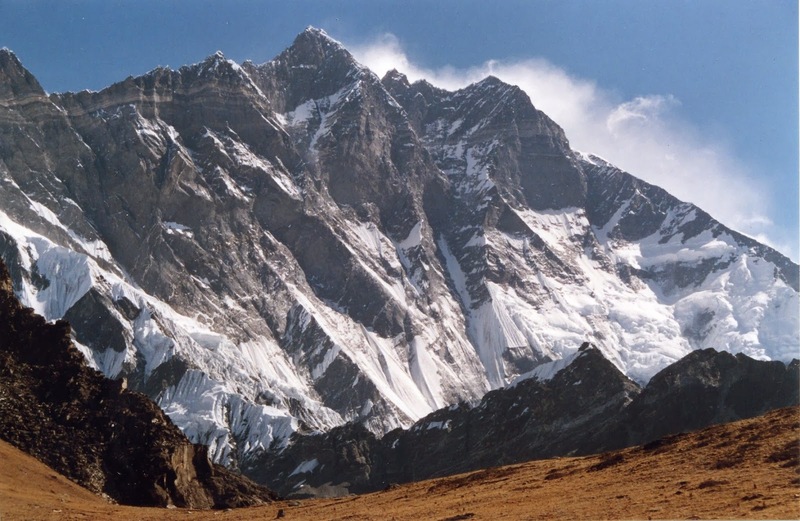 Elevation of the highest peak is 28,169 feet (8,586 meters). Kangchenjunga is located on the boundary between Nepal and the Indian state of Sikkim. 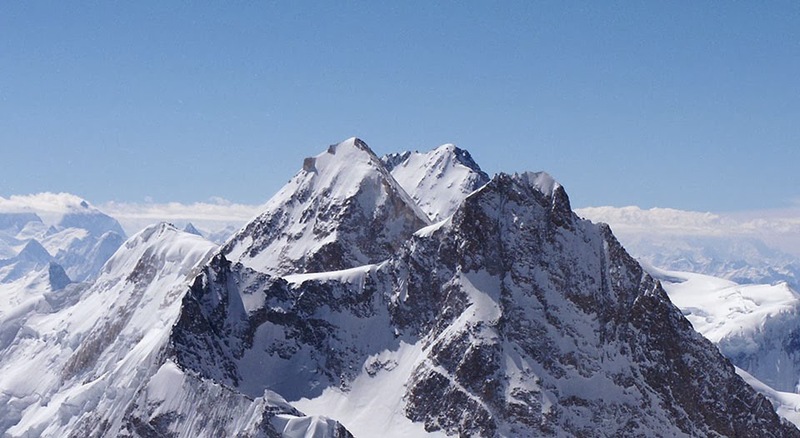 This mountain is connected to the Mount Everest via South Col. It is around 8,516 meters above sea level. The mountain is located at the border between China and Nepal. The earliest recorded attempt to climb this particular mountain happened in 1955. The expedition was headed by Norman Dyhrenfurth. The expedition included two Austrians and two Swiss people and three Americans. It was also the first expedition in the particular area to include Americans. 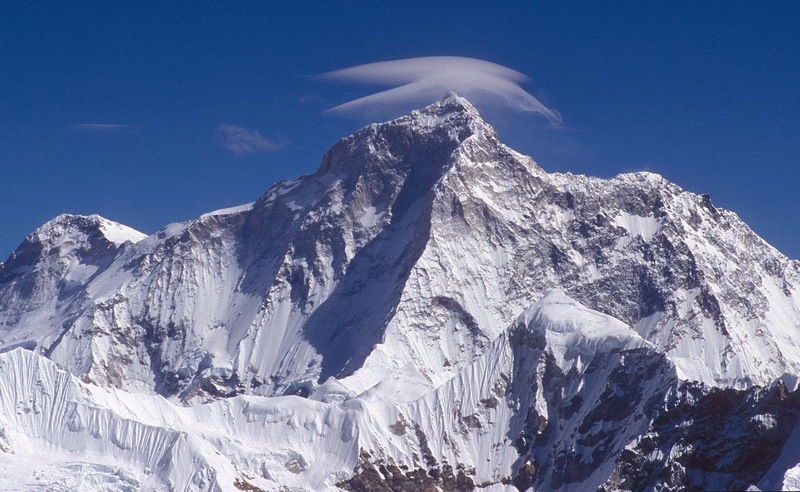 Cho Oyu is the sixth highest mountain in the world at 8,201 metres (26,906 ft) above sea level. It rises around 8,201 meters above sea level and situated in the Himalayas around 20 kilometers west of Mount Everest. It is also at the border between China and Nepal. The name of the mountain means ‘Turquoise Goddess’. The first attempt to climb this mountain was made in 1952 by an expedition from Great Britain. They planned on trying for the Everest the following year so they considered this one a warm up. 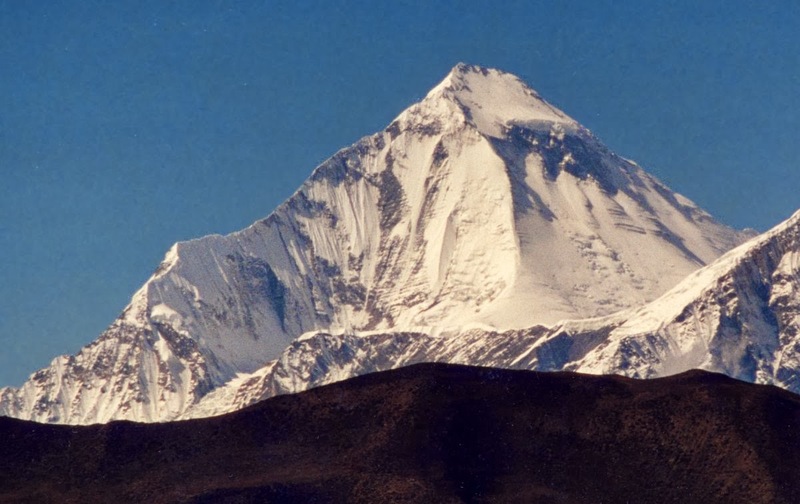 The first time ‘Cho Oyu’ was ever climbed was on the 19th October of 1954. It was an Austrian expedition. The Dhaulagiri massif in Nepal extends 120 km from the Kaligandaki River west to the Bheri. This massif is enclosed on the north and southwest by tributaries of the Bheri and on the southeast by Myagdi Khola. 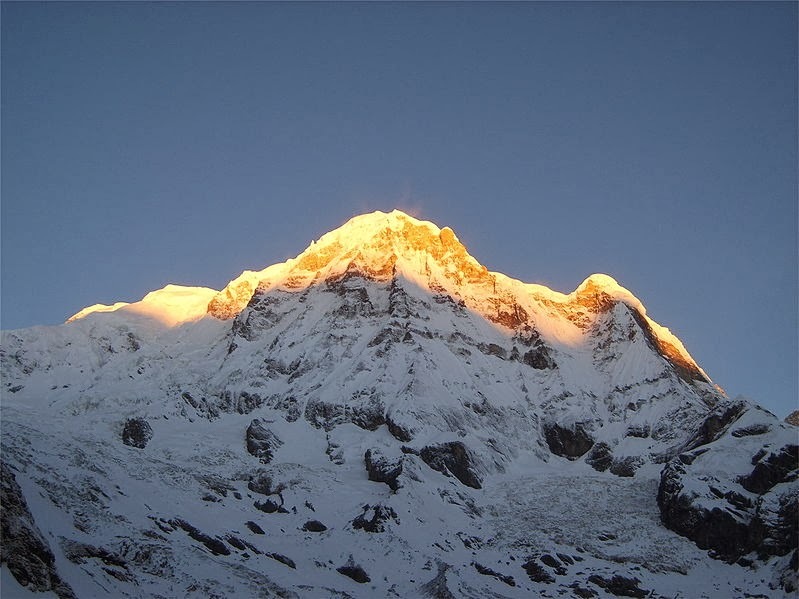 Dhaulagiri I at 8,167 metres (26,795 ft) ranks seventh among Earth's fourteen peaks over eight thousand metres. There are fourteen peaks in the world to cross the mark of 8,000 meters in the world, just so you know. 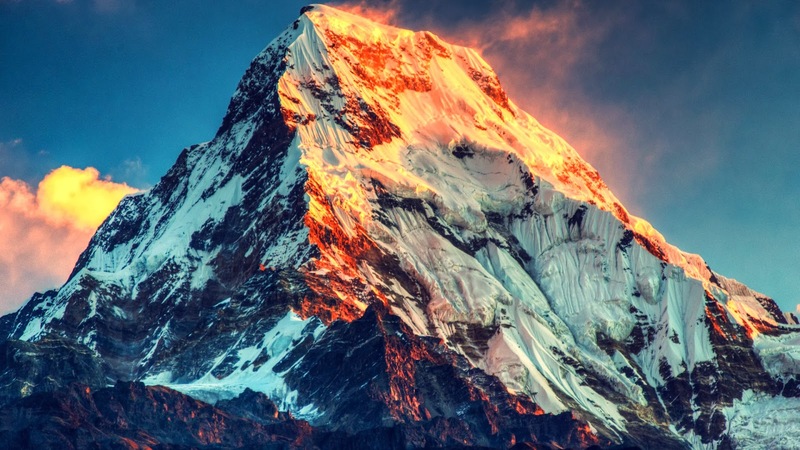 The mountain is located in Nepal and the first it was climbed for the first time on the 13th May of 1960. The expedition that successfully climbed it was from Switzerland and Austria. The name comes from Sanskrit. Dhaula means dazzling, white or beautiful and Giri means mountain. So the name should mean something like ‘Dazzling Mountain’ and all. Manaslu is the eighth highest mountain in the world, and is located in the Mansiri Himal, part of the Nepalese Himalayas, in the west-central part of Nepal. The “Mountain of the Spirit,” Manaslu, is not one of the better-known mountains in the world, but it’s one of the most dangerous with the 4th-highest fatality rate of all the 8000-meter peaks. The height of the mountain is 26,759 feet (8,156 meters) above sea level. Nanga Parbat is the ninth highest mountain in the world. It is the western anchor of the Himalayas around which the Indus river skirts before it debouches into the plains of Pakistan. It is located in the Gilgit-Baltistan region of Pakistan. Nanga Parbat, also known as the “Naked Mountain,” was one of the deadliest mountains to climb in the first half of the 20th century. The height of the mountain is 26,660 feet (8,126 meters) and it’s a truly awesome spectacle. 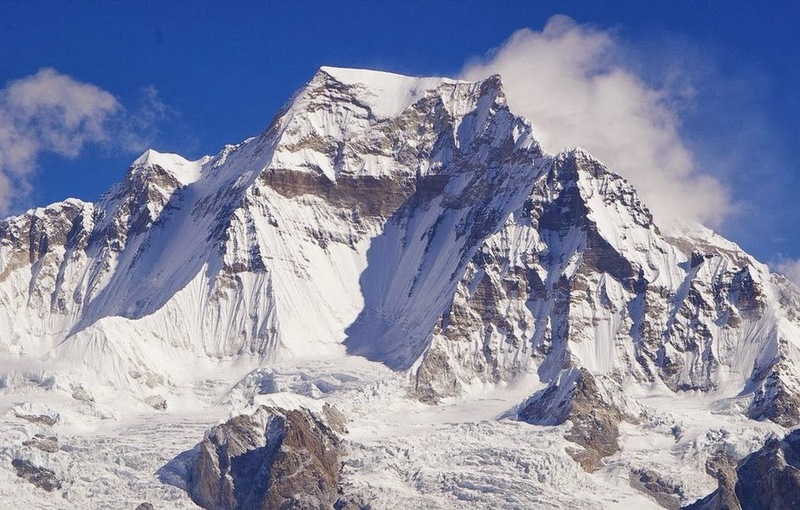 The south face is the largest in the world, extending over four kilometers above base camp. Annapurna is a section of the Himalayas in north-central Nepal that includes 8,091 m (26,545 ft) Annapurna I, thirteen additional peaks over 7,000 m (22,970 ft) and 16 more over 6,000 m (19,690 ft). This mountain is part of the Himalayas in Nepal and it stands around 8,091 meters above the sea level. It is a Sanskrit name and it means ‘full of food’. Well, that sounds tempting doesn’t it? Usually though, the name is translated into ‘Goddess of the Harvests’. Annapurna in Hinduism is the kitchen Goddess. 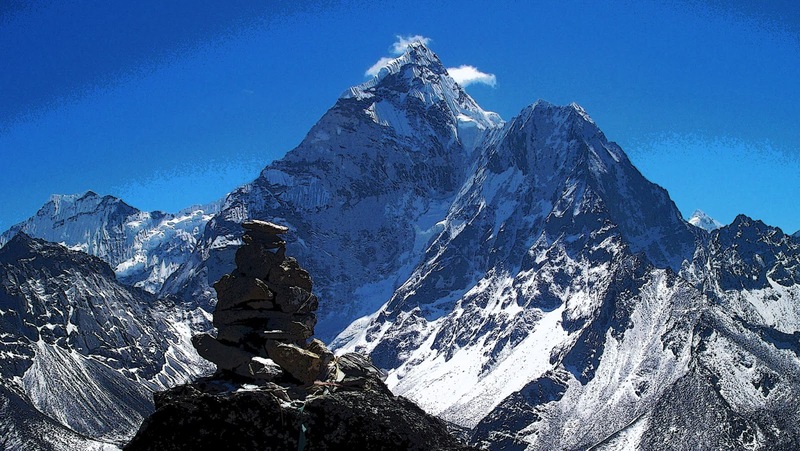 There are many other peaks in this region and these are considered one of the most dangerous to climb. Gasherbrum I, also known as Hidden Peak or K5, is the 11th highest peak on Earth, located on the Pakistani–Chinese border. Gasherbrum I is part of the Gasherbrum massif, located in the Karakoram region of the Himalaya. Gasherbrum is often claimed to mean “Shining Wall”, presumably a reference to the highly visible face of the neighboring peak Gasherbrum IV; but in fact it comes from “rgasha” (beautiful) + “brum” (mountain) in Balti, hence it actually means “beautiful mountain”. 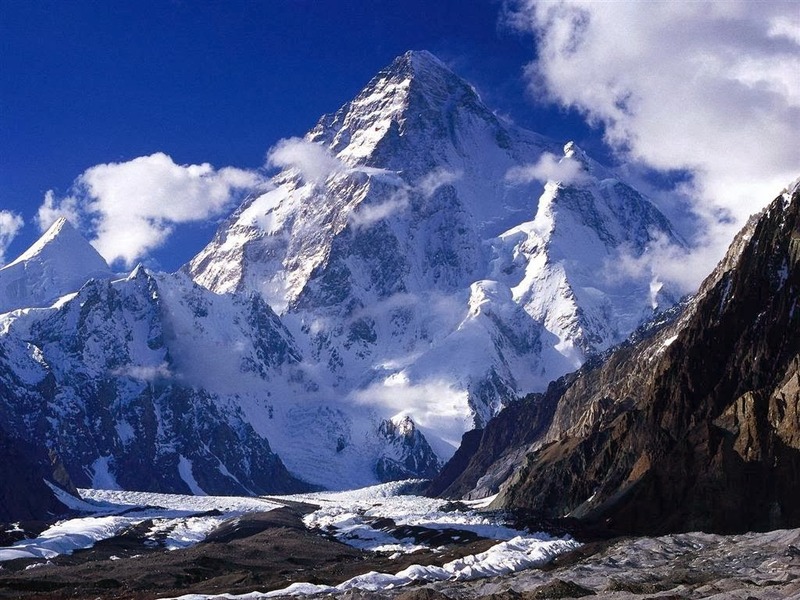 “Beautiful mountain” Gasherbrum I is 26,509 feet (8,080 meters) high. 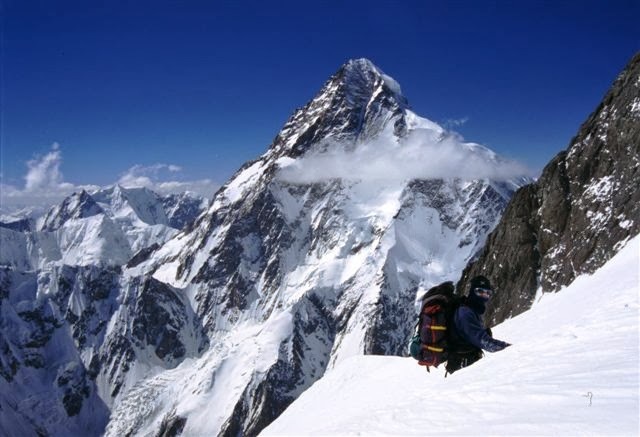 Broad Peak, also known as K3, is the 12th highest mountain on Earth, with an elevation of 8,051 metres (26,414 ft). The literal translation of "Broad Peak" to Faichan Kangri is not accepted among the Balti people. Gasherbrum I, also known as Hidden Peak or K5, is the 11th highest peak on Earth, located on the Pakistani–Chinese border in Gilgit–Baltistan region of Pakistan and Xinjiang region of China. 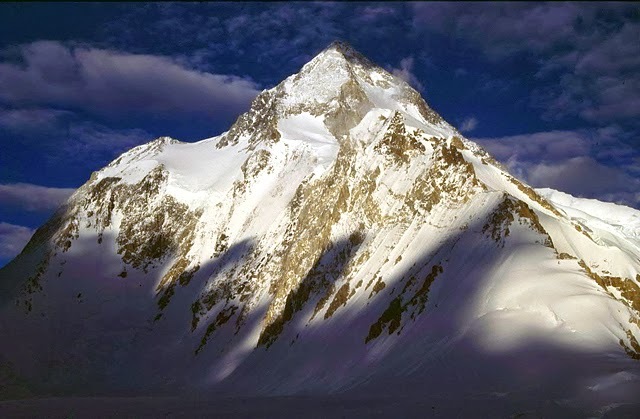 At 8,034 metres (26,358 ft) high, Gasherbrum II is the third-highest peak of the Gasherbrum massif, located in the Karakoram range of the Himalayas. The mountain was first climbed on July 7, 1956, by Fritz Moravec, Josef Larch, and Hans Willenpart of an Austrian expedition. 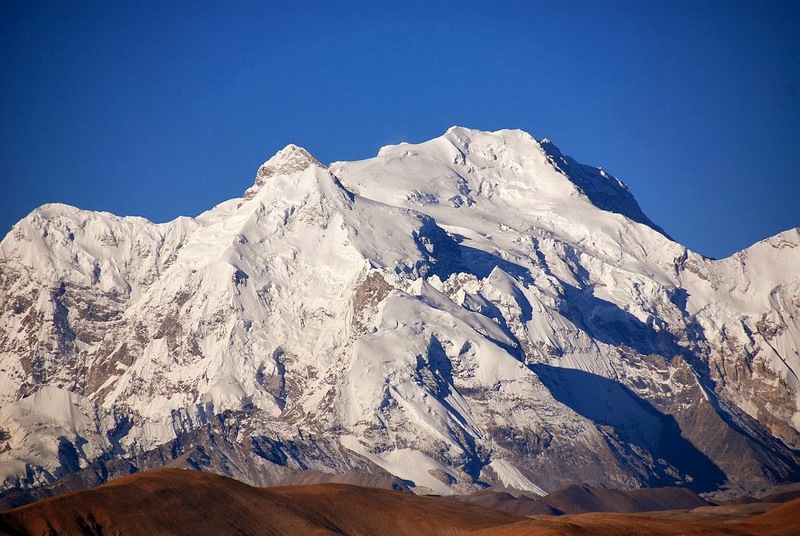 Shishapangma, also called Gosainthān, is the fourteenth-highest mountain in the world and, at 8,013 m (26,289 ft), the lowest of the eight-thousanders. 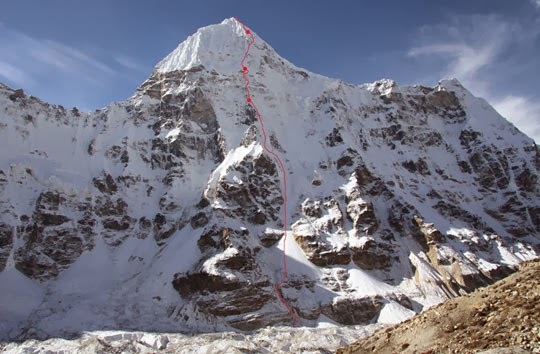 It was the last 8,000 meter peak to be climbed, due to its location entirely within Tibet and the restrictions on visits by foreigners to the region imposed by national Chinese and regional Tibetan authorities. Gyachung Kang is a mountain in the Mahalangur Himal section of the Himalaya, and is the highest peak between Cho Oyu (8,201 m) and Mount Everest (8,848 m). It lies on the border between Nepal and China. 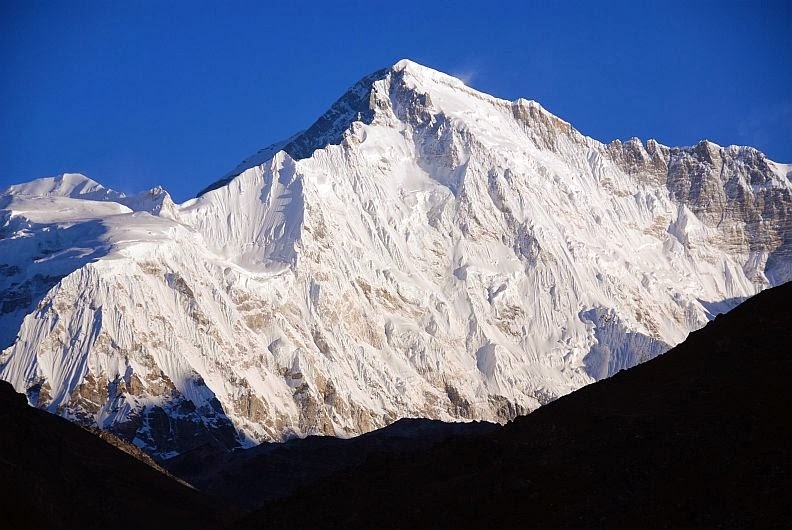 As the fifteenth highest peak in the world, it is also the highest peak that is not eight thousand meters tall; it stands around 7,952 meters above the sea level. Hence it is far less well-known than the lowest of the eight-thousanders.